Wrapping up the teens was done with plentiful numbers for Lincoln Wheat Penny coins, with more than half a billion minted during 1919. 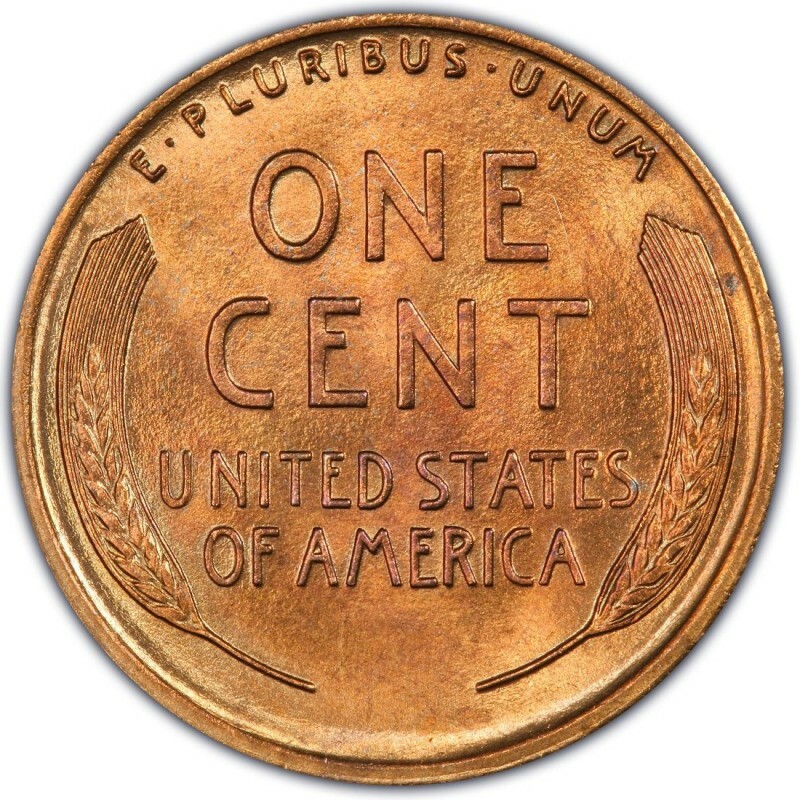 High mintage numbers for the year have carried this coin through many hard times in circulation: the Great Depression, World War II, and even modern times, during which it is 1919 Pennies that are most often found among early Lincoln Pennies that still circulate today. As 1919 Lincoln Pennies are among the most common available from the era, many collectors often forget that the coin is around a century old, and untold numbers have been cleaned or otherwise impaired over the decades since this coin first entered the channels of commerce. Indeed, many 1919 Lincoln Pennies no longer are in numismatically collectible shape, and countless others are highly worn. 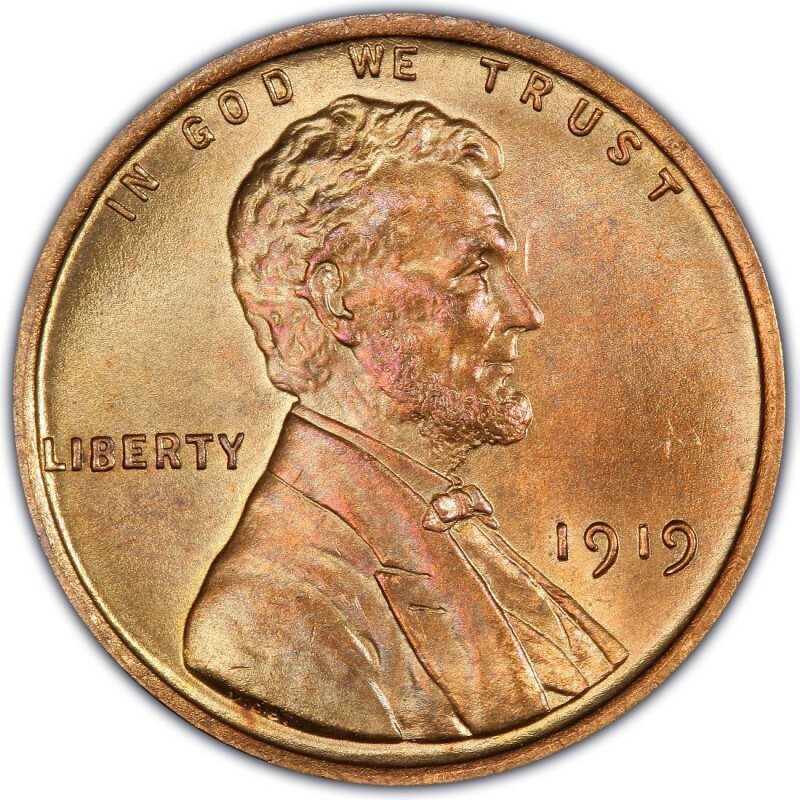 That means your search for the “perfect” 1919 Lincoln Penny may require a little digging through coin dealers’ cases to find just the examples you want. Three different Mints produced the 1919 Lincoln Wheat Penny: Denver, Philadelphia, and San Francisco. With more than 392 million 1919 Philadelphia (no mintmark) Pennies alone, finding just the right issue from the main U.S. Mint won’t necessarily be difficult. Uncirculated examples can be had for as little as $20, though do avoid pieces that are spotted or discolored. 1919 Denver (D) and 1919 San Francisco (S) Pennies are a little more challenging to find in the uncirculated grades, but with 57,154,000 and 139,760,000 minted, respectively, there were plenty made originally and a broad number to choose from to this day. All 1919 Lincoln Wheat Penny coins can be had for less than $1 in nice, circulated condition. As can be seen in the article above, most 1919 Lincoln cents in circulated condition are worth less than $1. In fact, really well-worn examples are usually worth in the 10- to 20-cent range. I have a s mint 1919 wheat penny with some very interesting markings on the last 1 in the date and the rty in liberty are slanted upward and have very deep insets as well as the as two numbers in the date I would like to know how much it is worth?